So...what do you think? These two are engaging for sure. 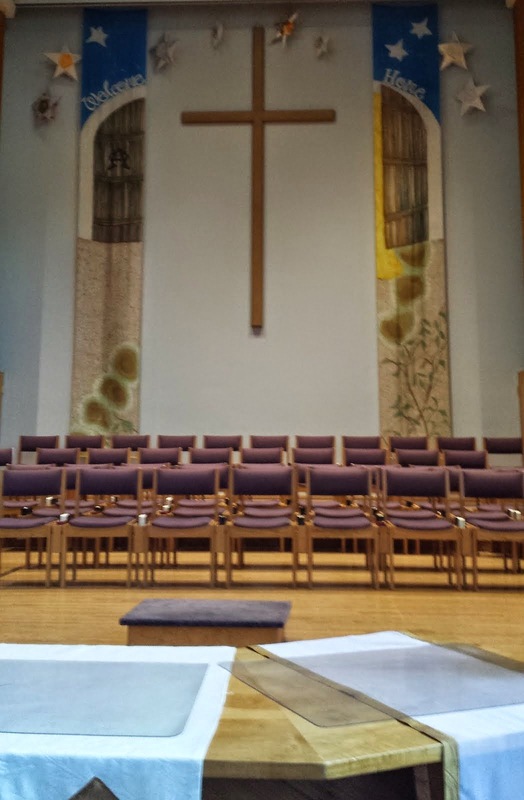 Can it make a difference in your church? 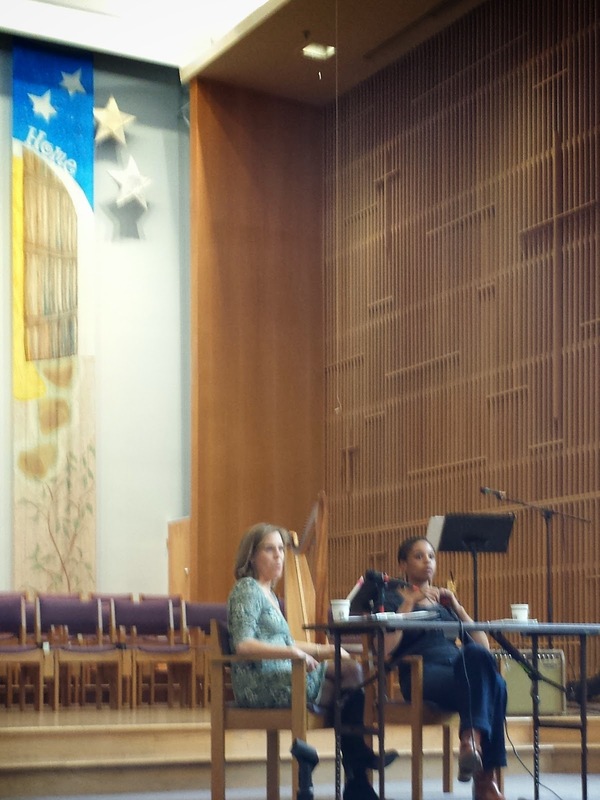 Thank you Christena Cleveland and Lillian Daniel for bringing your best. 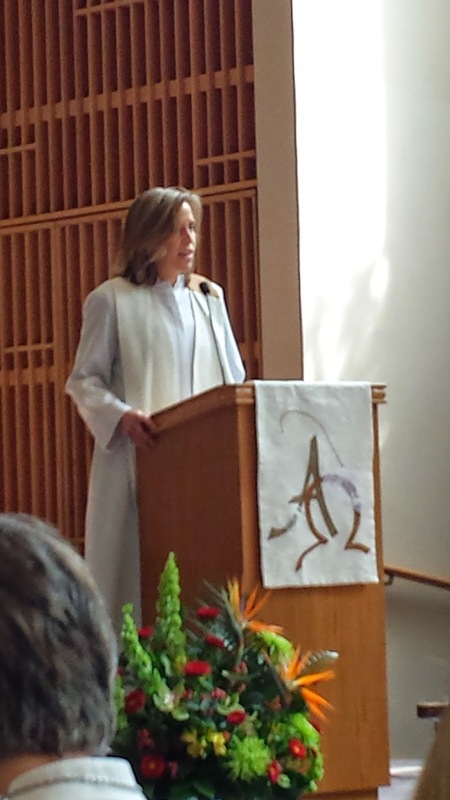 Lillian arrived on Saturday to the Annual Meeting bringing all of her wit and clear message. It was right after lunch but no one took a nap. 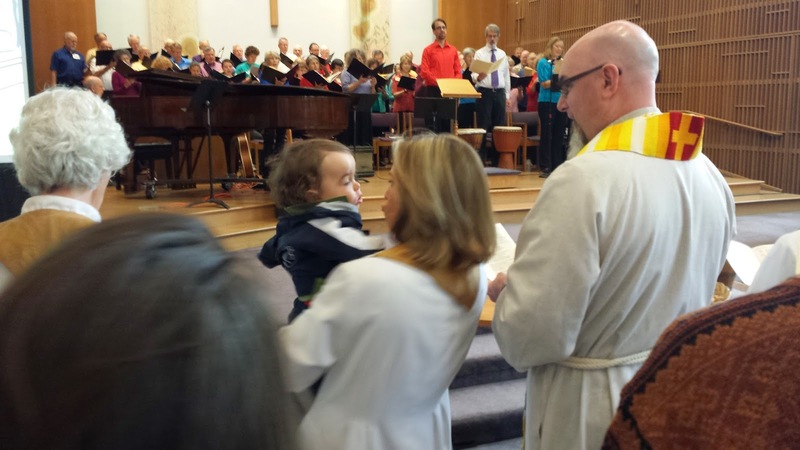 I am sorry to say there was a technical problem with the recording of Sunday morning worship so Lillian's sermon does not come through with usable audio. 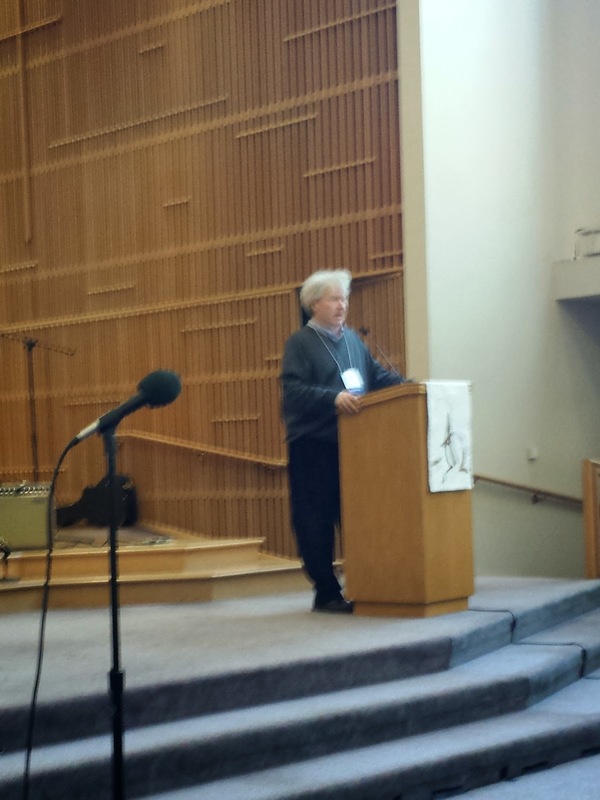 This keynote address and the workshop with the two keynoters together came out great. I will re-post the workshop in a little bit. The City of SeaTac has already passed a $15 Minimum Wage. Seattle is consider something similar. Governor of Washington Jay Inslee is asking for something around $12. President Obama has implemented $10.10 hour Minimum for Federal Workers and Contractors. It is clear that the current minimum wage in Washington, although the highest in the Country - is not a livable wage. This resolution passed at Annual Meeting begins a conversation toward action as we work for a livable wage for everyone. Watch the Video of the Hearing at Annual Meeting that discussed the Resolution and recommended a YES vote to the Annual Meeting delegates with a small amendment in language. "Knock and the Door will be Opened"
Lillian Daniel Sermon has the Congregation laughing and understanding what opens when we knock. Please note that there were technical difficulties with the audio recording on this closing worship. We are working to clean it up and will post it and let you know. The Newly Elected Board and Committee members have now been installed. These two members of First Congregational UCC Colville are having a great time with the singing that has gone on all weekend. Surprisingly good talk from the Cornerstone Fund. The best line: "Currency only has value when it is exchanged." Our Keynoters Go At It! This is new for the UCC....two keynote speakers having a conversation about the importance of testimony in the Church. The Pastor should talk less and the people more. Every revolution in the Church happens because the lay people start it. They advocate for bringing Testimony back into the Church...really! Now they are talking about Sin! What's next from Christena Cleveland and Lillian Daniel. 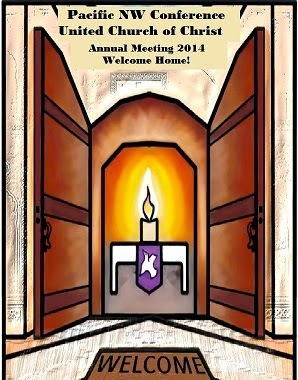 Bring your stories of "coming home" to our Annual Meeting this year in Seattle. Come through the physical doors of University Congregational UCC April 25-27 and remember that your are home. Or, come through the virtual doors of this Blog. "Home" is bigger than the place you were raised; "family" is so much bigger than biology! 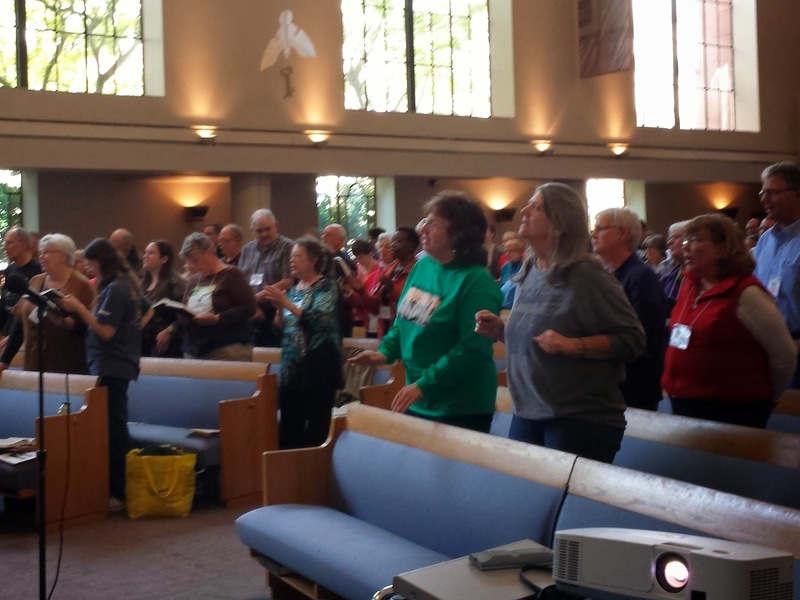 The Pacific Northwest Conference of the UCC as the home of our hearts. At home this weekend, we share memories and hopes for the future. We are a family of faith. At home, we celebrate with music and praying, preaching and singing, workshops and study. We also feast over food and drink and we hope you our Blog family members will find your own ways to join us in the feasting. The doors swing open and we shout out: WELCOME HOME!